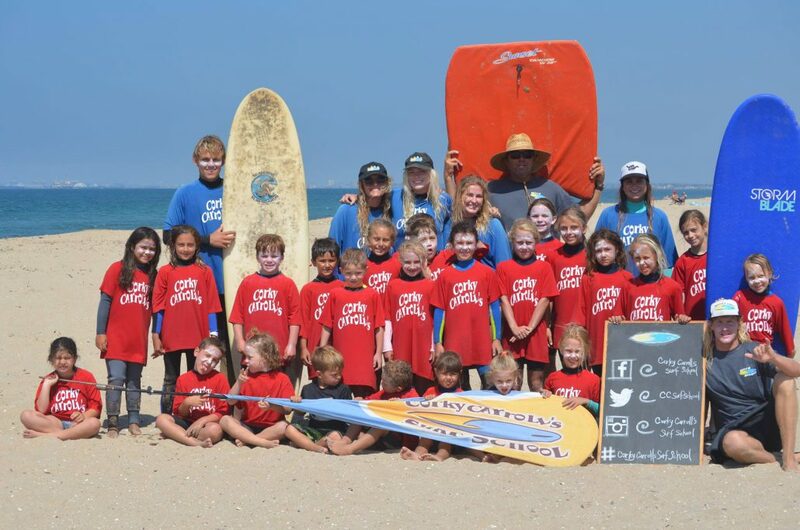 Corky Carroll's Surf School Huntington Beach: Beach Adventure Info! 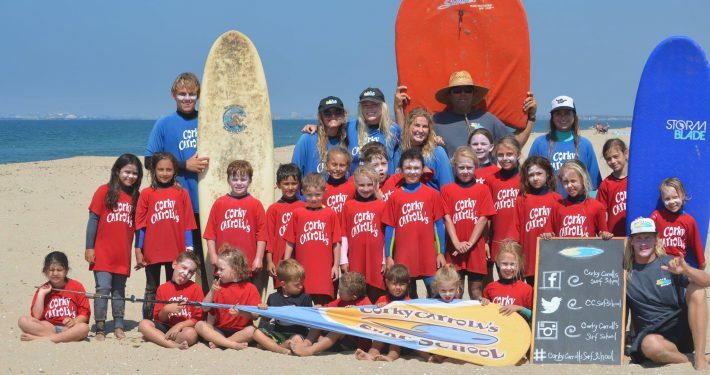 With an emphasis on surfing, Corky Carroll’s Huntington Beach Adventure Camps is the perfect program for kids that want to surf but are still getting their feet wet! 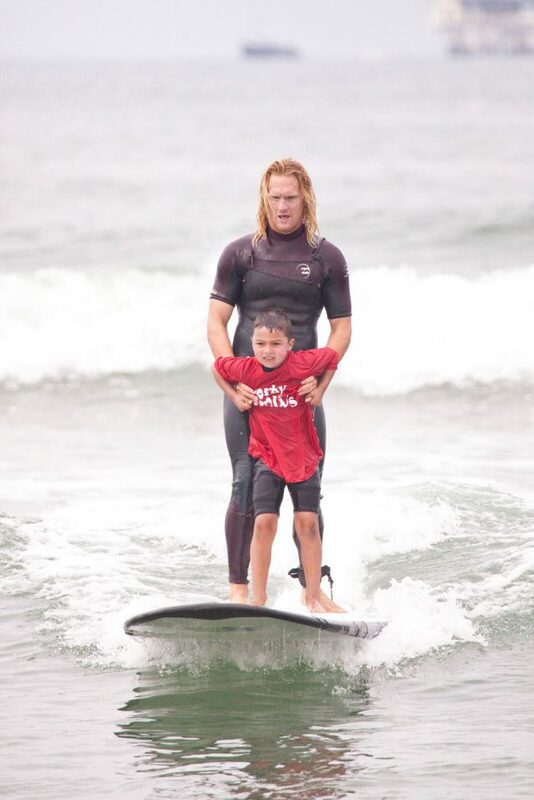 It’s crucial for children to feel comfortable and safe when learning to surf. 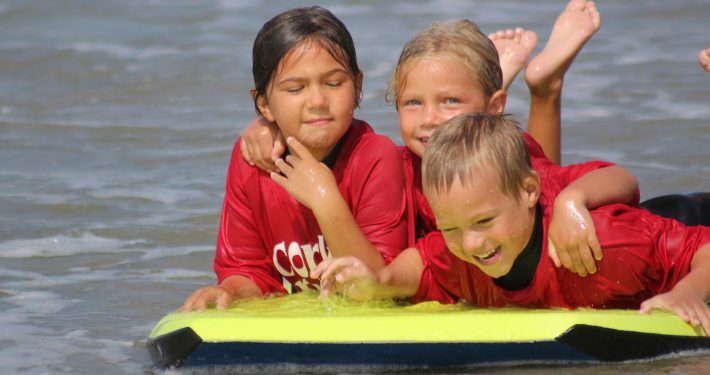 We apply the same teaching system used in our Surf Camp but modified it as a fun learning experience geared towards younger kids. 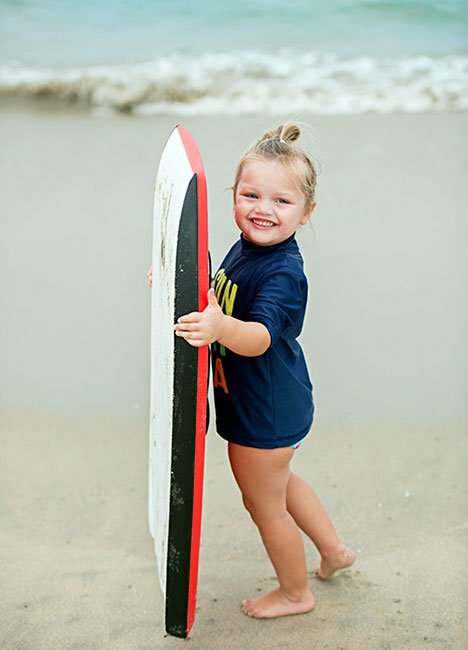 Under the direct supervision and guidance of our instructors, children will be introduced to the sport of surfing while learning and practicing ocean safety. 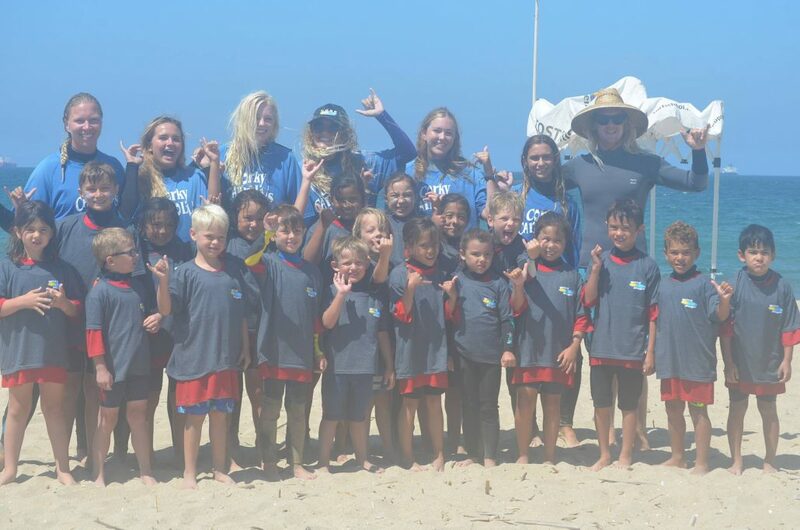 Our second emphasis is helping train kids for the Junior Life Guard Programs here in California by developing young kids physical conditioning, their understanding and respect for the ocean and their respect for their peers. Understanding that everyone learns at their own pace, we’ve designed this program to meet the individual interests and skill level of each child. 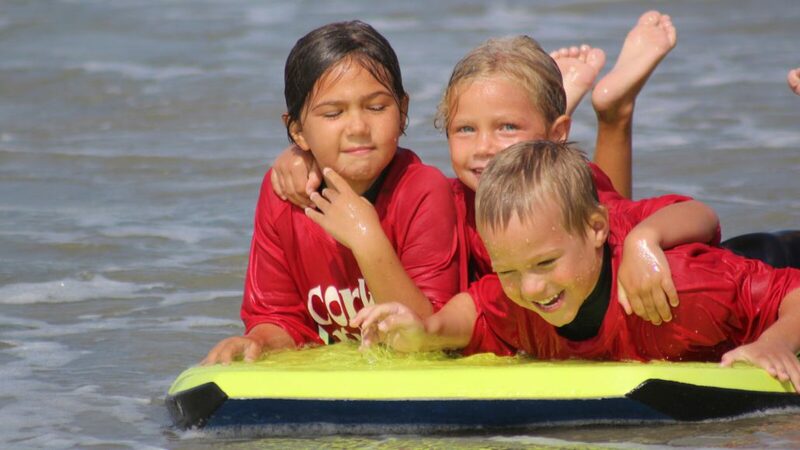 We will not be doing push ups, running long distances, and or long open ocean swims but with instructors close by, kids will use kickboards, double boogie boards, surfboards, and tandem surfing to improve swimming and surfing skills while building their confidence and comfort level in and out of the water. Our instructors will also teach them how to calmly and safely maneuver through shorebreak waves. 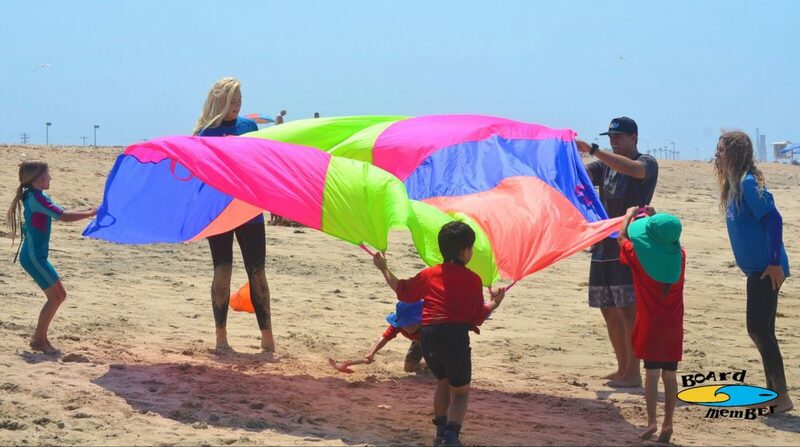 With games, social activities, and surf training, it’s all about having fun at the beach and staying safe! 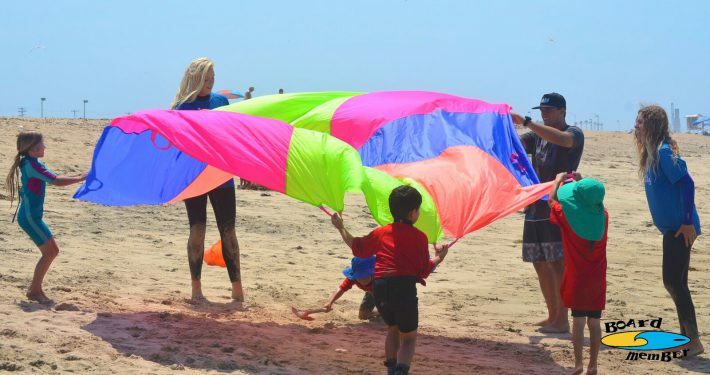 Home to our original Beach Adventure Camp, Bolsa Chica State Beach offers the perfect location for little ones to spend the day playing under the sun, while parents and older siblings are taking surf lessons at our school. 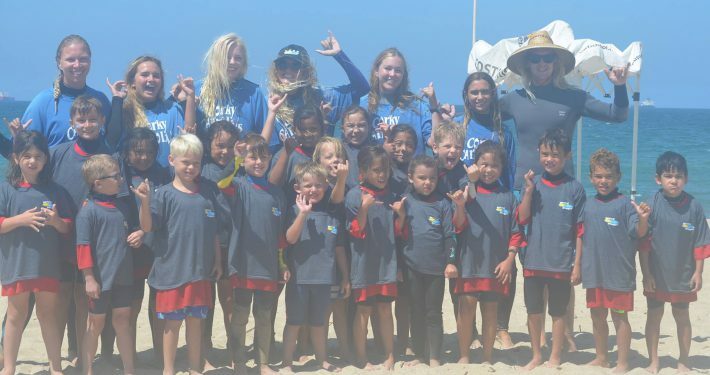 Our fully supervised camp also aims to prepare younger children for the Southern California Junior Lifeguards. It’s also an ideal choice if siblings are training for Junior Lifeguards at this beach, as we are located within close proximity. Restrooms, showers, parking and easy pick-up/drop-off zones provide convenient features for kids and parents. Our 3rd and newest Beach Adventure Camp, located at Surf City’s Huntington State Beach, will be opening this summer! 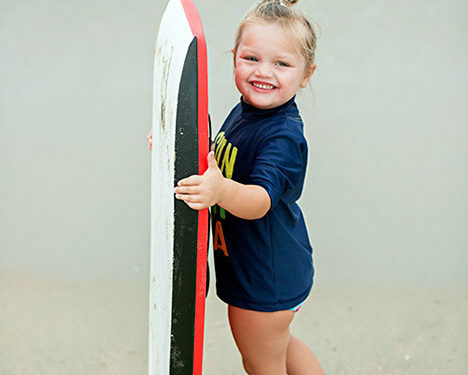 This fully supervised program and location is geared towards younger kids who aren’t ready to begin our surf lessons yet, as there is no surf school at this site. Located just one tower north of the State Junior Lifeguard program (between Magnolia and Newland street), it’s a great option if older siblings are training at this State Beach facility and your littler ones need more preparation before entering the same program. With convenient parking, loading zones, restrooms and showers, it’s never been easier to drop your kids off for a fun day in the sun, sand and waves! WE LOVE PHONE CALLS!! 714-969-3959 FOR MORE QUESTIONS OR INFO ON OUR DISCOUNTED RATES!! Spots are limited this summer. Please note if you register after 3pm on the Friday prior to the week you wish to sign up for, there will be no discounted rate available.